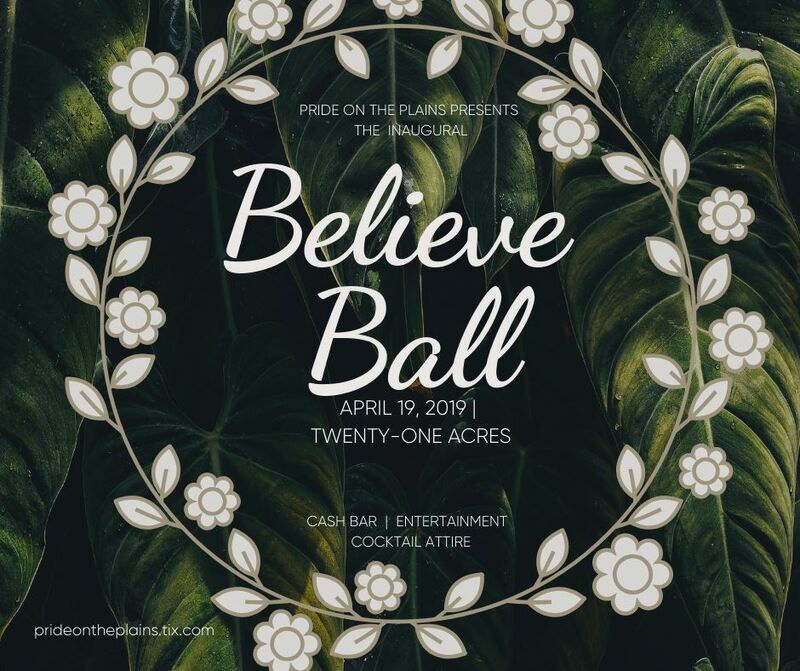 We are excited to announce that the Inaugural "Believe Ball" is taking place Friday, April 19th, 7:00 PM, at Twenty-One Acres Wedding & Events Venue (5505 Wire Road). This event will benefit the mission of Pride on The Plains, which is to increase inclusion and awareness for the LGBTQ+ community. The first event of its kind in Auburn-Opelika, the Believe Ball celebrates everyone in the community, including any/all sexual orientations and gender identities. This event welcomes everyone. Complimentary passed hors d'oeuvres and complete cash bar, presented by Christine's Catering, will be available throughout the evening. The event will feature special entertainment and a guest speaker. Tickets are available now. Early-bird pricing ($30) is available. Click here to secure your tickets now.